Done with the GM Diet! My 7-day diet challenge a.k.a. my diet experience with the popular GM Diet finally came to an end yesterday. When I hit the bathroom scale this morning with an empty stomach, I registered a weight of 132 lbs. This means that I was able to lose another pound from my weight yesterday of 133 lbs. I’m so happy to announce I have lost a total of 7 lbs. in seven days! 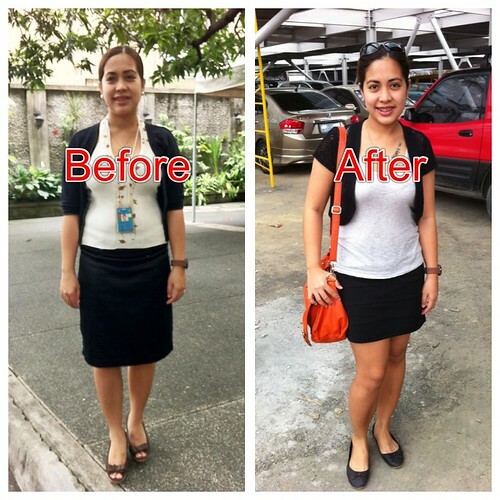 Aside from smaller tummy, my family and friends noticed my face became firmer and smaller, too. That, or they just love me. The hubby, on the other hand, noticed that my arms got smaller and my curves are starting to show again. Haha. Now, that’s a great compliment to hear from the love of my life! Personally, I feel a lot better now, inside and out. And unlike them, I don’t just see the changes the 7-lb. lost did to my body, I can also feel them. Today, January 27, 2013, is my Day 6 on the GM Diet. Again, I went out today. We heard the 10am mass at St. Pio of Pietrelcina Center in Libis, Quezon City. I was with the hubby, my mom and my SIL. In the afternoon, we went home in Cavite. Still, not much energy but I was able to handle it well. Today, January 26, 2013 is my Day 5 on the GM Diet. My energy in the past days, though lower than usual, was enough to keep me going the entire day. I love how this diet still allows me to go out and do things.